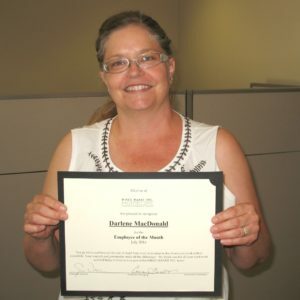 Darlene MacDonald- Darlene has worked for Hired Hands Homecare for over 3 years. Darlene is a very hard worker. She goes above and beyond to get things done. 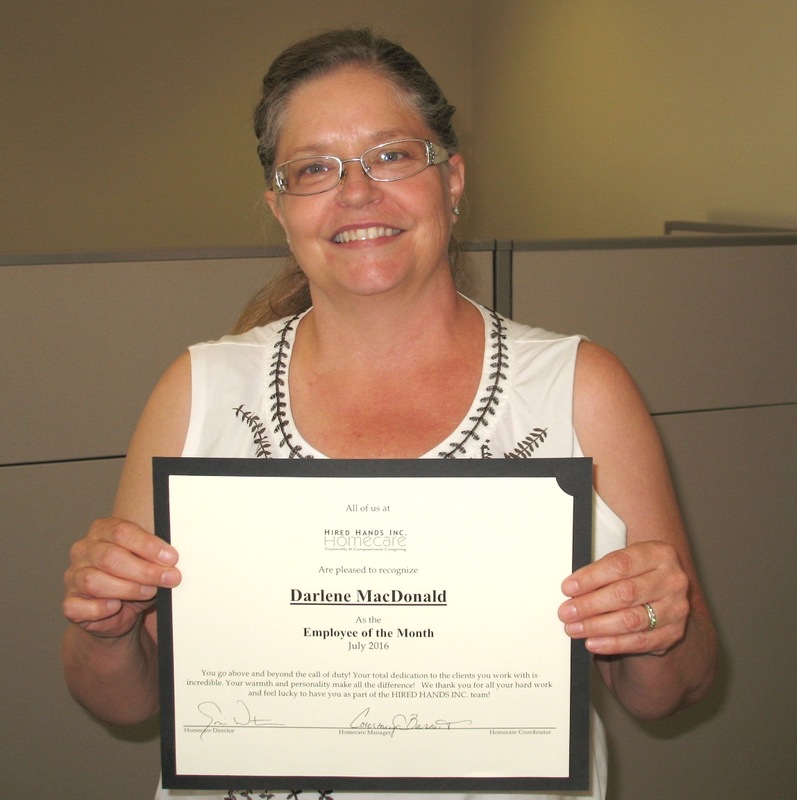 When Darlene was in her CNA class, she finished at the top of her class and scored a 100% on her final examination. Darlene is an animal lover. She has two dogs Casey is a Yellow Lab and Sydney is a Chihuahua. She has a guinea pig named Rose that her and her family rescued at a local park and she feeds the local stray cats. Darlene likes to read, bird watch and take hikes. Darlene’s favorite aspect of care giving is being able to brighten someone’s day and to help them be more independent. Darlene, THANK YOU for ALL you do!